Top floor unit, comfortable 2-bedroom/2-bath beach condo is just steps away from La Jolla's most beautiful and famous beach, Windansea. The spacious and bright living room has great natural lighting and a small front balcony for evening sunset watching. Classic high beamed ceiling and tile floors give this room an airy open feel. Large deck off the master to relax and enjoy your own personal time and space. Upper comfortable 2-bedroom/2-bath beach condo is just steps away from La Jolla's most beautiful and famous beach, Windansea. 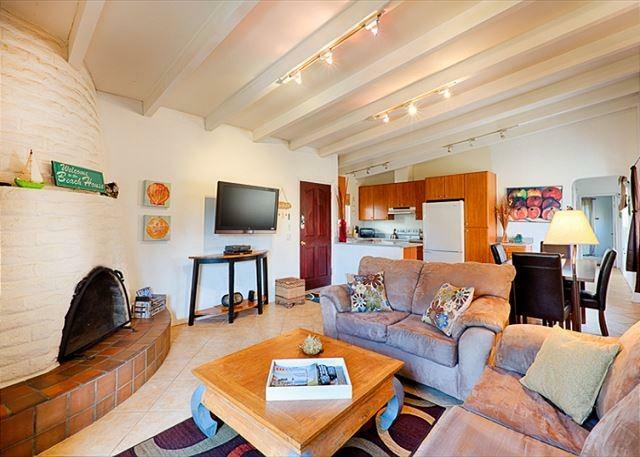 This beach home has everything to make it the perfectly affordable La Jolla beach rental for you and your family. The spacious and bright living room has great natural lighting and a small front balcony for evening sunset watching Classic high beamed ceiling and tile floors give this room an airy open feel. There is a cozy fireplace with two large couches (one that pulls out into a bed) and a full entertainment center including a 42" flat screen TV with cable, DVD, and stereo. The kitchen has all appliances and is fully equipped with all of your cooking needs The dining area has a large table with seating for 4 people. . The large master bedroom has a king sized bed and TV with access to the back deck, and private bathroom. The second bedroom has a queen bed and TV. The guest bath has a shower and is located in the main hallway, next to the second bedroom. Enjoy lounging after a day at the beach on the large deck while you enjoy a relaxing BBQ at the outdoor table with seating for six or bronze in the sun on the two reclining lounge chairs. Additional amenities include high speed wireless internet (WIFI), washer/dryer, and parking for one car. You will live like the locals do in this classic Windansea beach home! 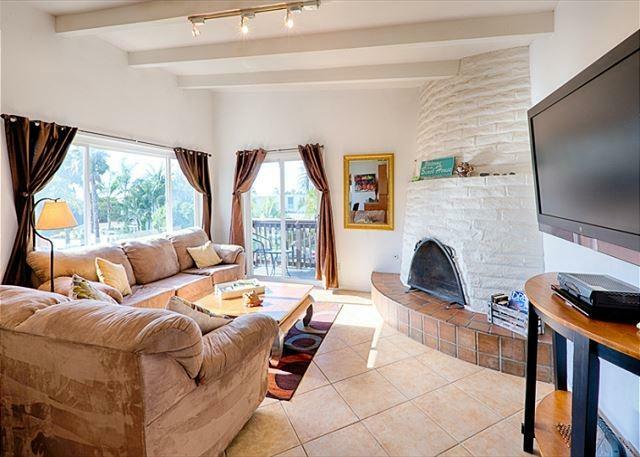 Short walk to the beach local neighborhood merchants and restaurants, this casual home is one of the best all around San Diego beach rentals available. 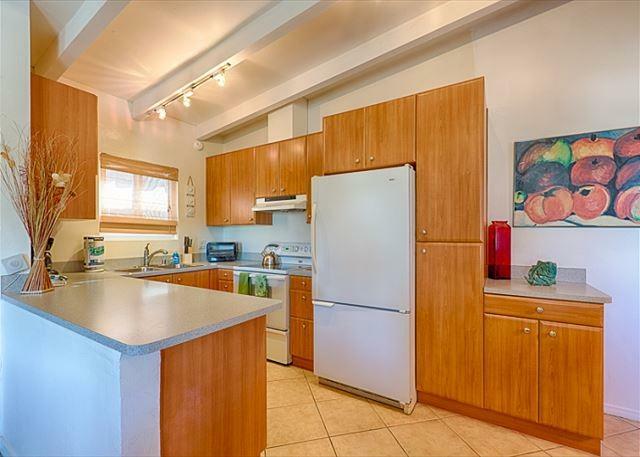 Downstairs 2 bedroom home can also be rented with this one to accommodate larger groups.